I can’t believe it’s already been over two weeks since ISTE 2015 wrapped up! For me, the conference was a whirlwind of connecting with my network of friends in real life, presenting, catching sessions, roaming the vendor hall and trying to be in the moment. It was an amazing experience and I’m still processing it. I don’t want to give a day-by-day rundown. Instead, I’ve decided to organize my reflections into the four most important aspects of ISTE for me. 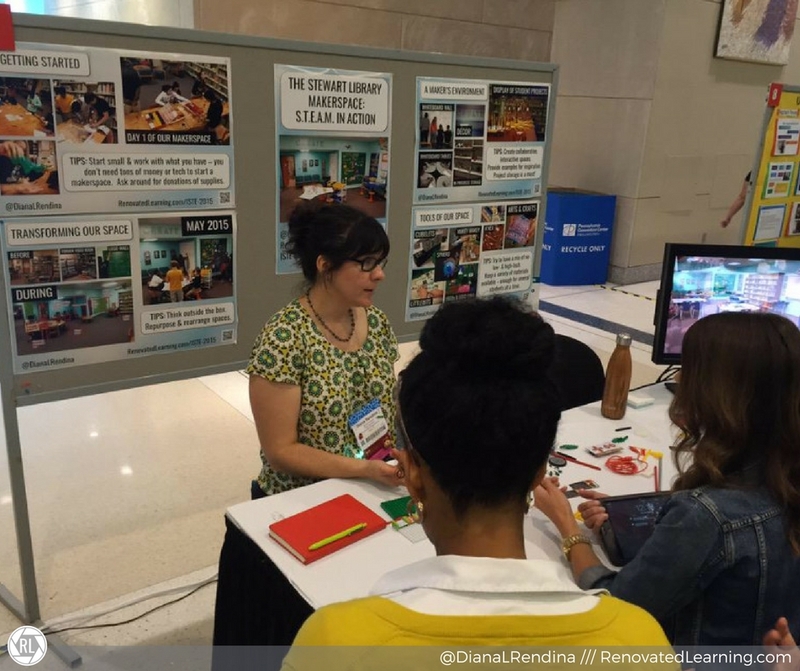 A huge part of ISTE 2015 for me was the opportunity to share about my work and to help others on their Maker journeys. I presented three times at ISTE: a poster session and two panel sessions. It was exhausting, but it gave me the opportunity to meet and speak with so many people. I had a little bit of trepidation about presenting a poster session, as it isn’t really my learning style, but I’m glad for the experience. I was able to talk and share with over 200 people throughout my poster session. Some of the interactions were very brief (grabbing a business card and flyer on the go) while others stayed longer and asked many questions about my experience starting a Makerspace. It did feel like I had to repeat myself a lot, specifically about when my students use the space (this will be a blog post soon). I really enjoyed the two panel sessions. There was such a fantastic variety of perspectives and experiences in both panels, and I feel like this gave our audience a fantastic overview of the Maker Movement in education and makerspaces in libraries. Knights of Make-a-lot was tons of fun. I’ve connected with Josh, Nathan and Laura many times on Twitter before, but this was the first time that we all met face to face. It was definitely eclectic and entertaining; we had a blast. The Librarians Network forum was great because we had a full gamut of experiences – elementary librarian, middle school librarian, public librarian and admin. Getting to see my Twitter and blog friends in person is one of the main reasons I attend conferences. It’s so much for to hangout IRL with all the amazing educators and friends that I usually online interact with online. One of the best parts about conferences like this is that there’s also opportunities to meet new people as well. I love that ISTE makes for organic networking opportunities. Networking always used to seem like such a sleazy concept to me, but I’ve come to embrace it as a great way to meet people, share about my work, and learn from theirs. This was the first time I also had complete strangers come up to me and tell me that they love my blog. I’m so flattered and honored that this space can serve as an inspiration and resource for other educators, although I have to admit, I feel a bit awkward in the face of recognition. I’m still working on moving past that discomfort. Conferences like this make for an excellent opportunity to explore new ideas. I tried out some sessions on a whim and got a lot out of them. In the vendor hall I got to learn about some new products and services that I might like to try out at my school. I also love the opportunity to explore a new city. 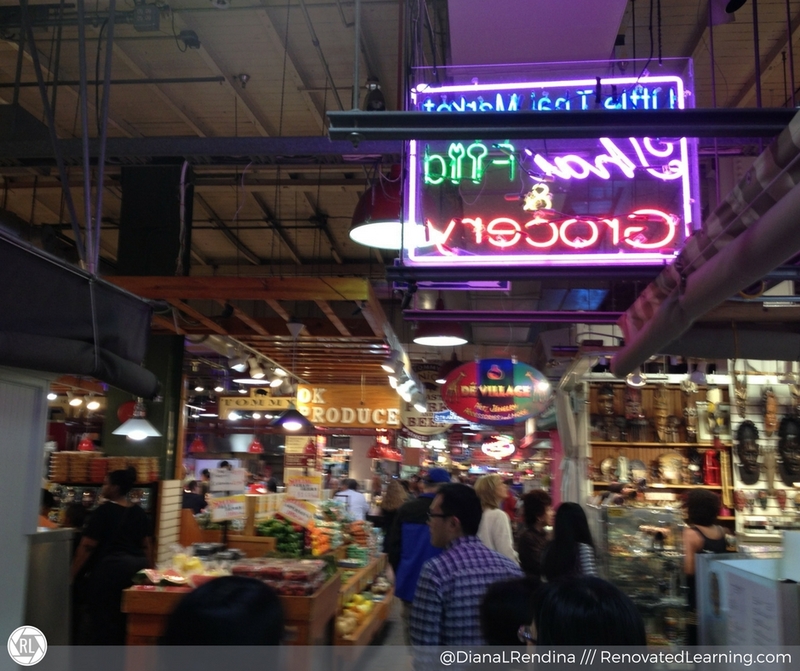 This was my first time in Philadelphia, and I fell in love. I stayed a little off the beaten path, about a twenty minute walk from the convention center. I took a different route each day so that I could see more of the city. On days when there was some free time, I got to explore some of the local sites. I’m not a big fan of super touristy stuff (the Liberty Bell was a letdown, and Benjamin Franklin’s tomb is just a marble slab). I had a lot of fun exploring local parks, taking in historic architecture, and trying out local flavors. I also got the opportunity to hang out with friends and check out The Art of the Brick at the Franklin Institute, which was an amazing exhibition of LEGO art. 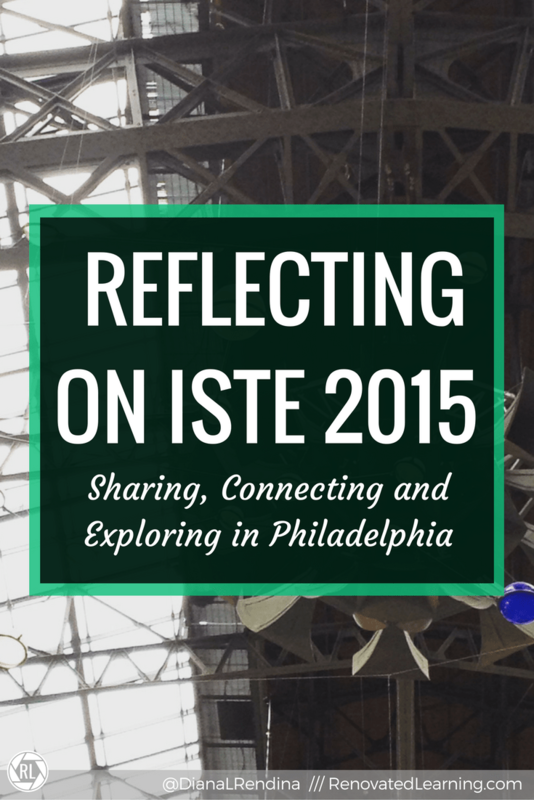 Reflecting on ISTE 2015, I’ve come up with some things I want to do differently next time. I want to make more time to develop deeper connections with people. While there were some people that I got to hang out a lot with, many times it was just a quick selfie and a brief chat. I want to make more time to really get to know people, have lunch with them, sit down somewhere quiet and talk. I don’t think I’ll do a poster session again. While I’m glad for the experience, most of the interactions felt shallow, and I felt like I could have helped people more with a different format. I’m thinking about maybe doing an Ignite talk or a concurrent session (or both) next year. Finally, this year really taught me that making time to eat and rest are vital. I took much better care of myself this year than I did last year. I made sure that I got enough food to eat and enough sleep. That did mean cutting short some social interactions and missing some sessions, but I was able to be more fully present because of it. 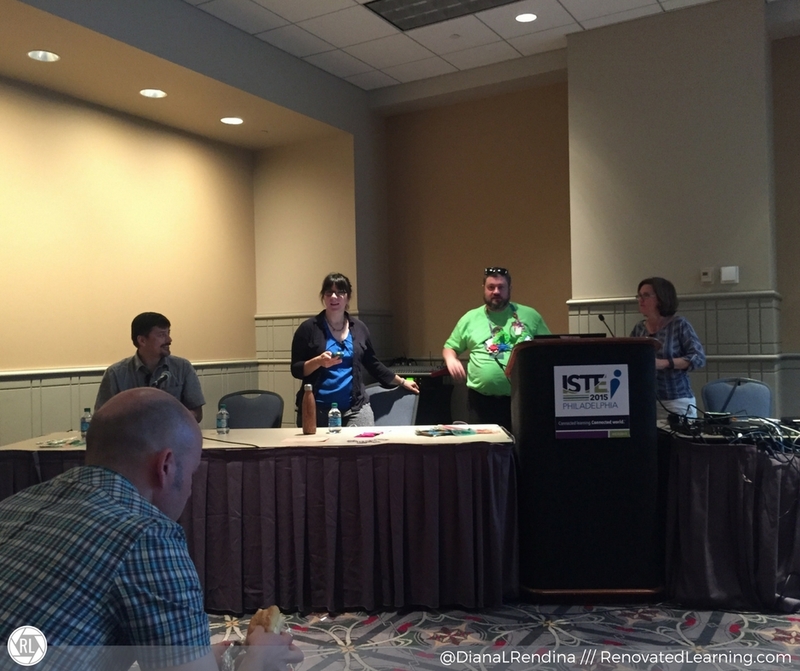 Did you go to ISTE 2015? What were your major takeaways?